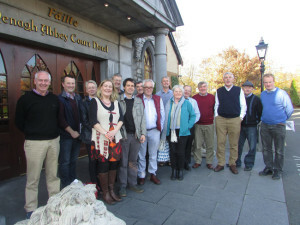 This photo shows members of the Steering Group for Pilgrim Paths Ireland attending the annual general meeting in Nenagh on November 2nd 2015. The principal proposal adopted was the extension Pilgrims Paths Day into National Pilgrim Paths Week which will take place next year between March 22nd and March 29th. This is an exciting development which will allow for a much wider programme of events during the Festival.